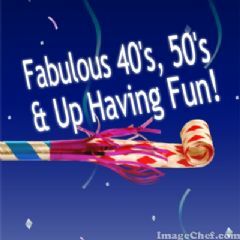 TEAM: FABULOUS 40's~50's~ & UP HAVING FUN! Thankful for having two wonderful dogs that can always make me smile and laugh! I am so thankful for having a supporting family and friends as we are all going through my father-in-law's battle with cancer. I am thankful that BOTH my girls came in to see me. God grant me the serenity to change the things I can, to accept the things I cannot change, and the wisdom to know the difference. I am thankful today and everyday that I have a wonderful loving family! I am thankful to be attending an Exploring Your Spiritual Journey Class that my church is paying for. DID U DO WARM-UPs & COOL DOWNs 2DAY or YESTERDAY? ENCOURAGE ANOTHER BY WORDS OR EMOTICON!